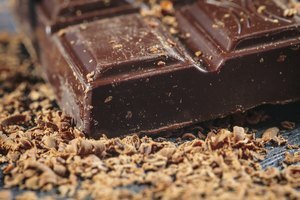 Chocolate is a guilty pleasure that both adults and children enjoy. 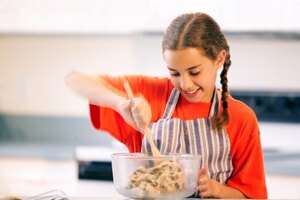 Share another experience with your children by creating your own chocolate-molded candies, lollipops and treats. 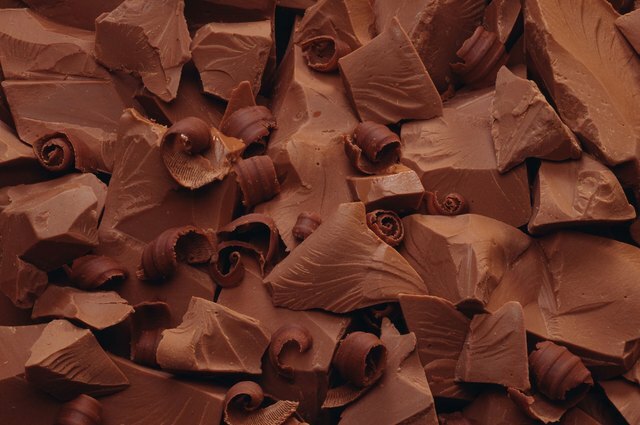 Filling these molds requires that the chocolate being used, whether it is semi-sweet or milk, be melted. 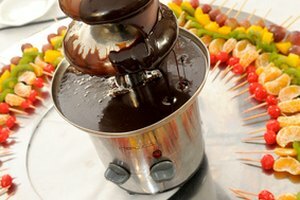 Chocolate melts at anywhere from 98 to 100 degrees, which can be accomplished using readily available appliances and utensils. Place 1 lb. of chocolate into a microwave-safe bowl. Place the bowl into the microwave and turn the microwave to 50 percent power. 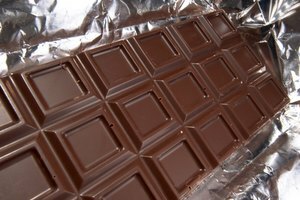 Microwave the chocolate for 1 minute. Stir the chocolate and microwave it again at 50 percent for 1 more minute. Stir the chocolate and continue to microwave it until it is completely melted. Spoon the chocolate into the molds and tap the filled molds gently on the table. This will help remove any air bubbles from the mold. Store any unused chocolate in an airtight container in a dry, cool place. Do not store the chocolate in the refrigerator. Place 1 lb. of chocolate into a small pot (or the top of a double-boiler pot). Set the smaller pot into a larger pot (or the bottom of a double-boiler pot) that has been filled 1/3 full with water. Place both pots onto a stove burner. Turn the burner on low heat and continuously stir the chocolate until it is completely melted, which may take 15 minutes or longer. Do not allow the chocolate to boil. Spoon the chocolate into the molds, following Steps 5 and 6 from above.